New painting: "Chasing Light's Shadow"
Chasing Light's Shadow, acrylic on linen, 44x44 in. "Nouning Around In the Verb Garden"
I submitted this painting to the Visual Art Exchange for a juried show entitled "White." It was accepted and won the 3rd Place award. YAY! New Painting: "Sucker Punch and Cookies"
This is the first painting in a new series I'm currently working on. 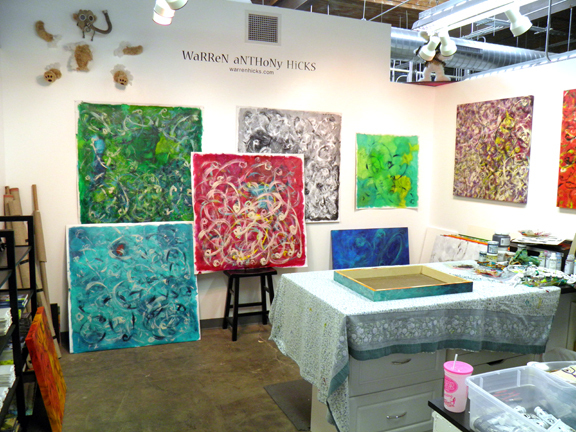 All of the canvases are 36x36 inches. This is the second largest size canvas I've ever done. I've primarily worked on wood and paper since 2006 with the occasional experimental canvas here and there. 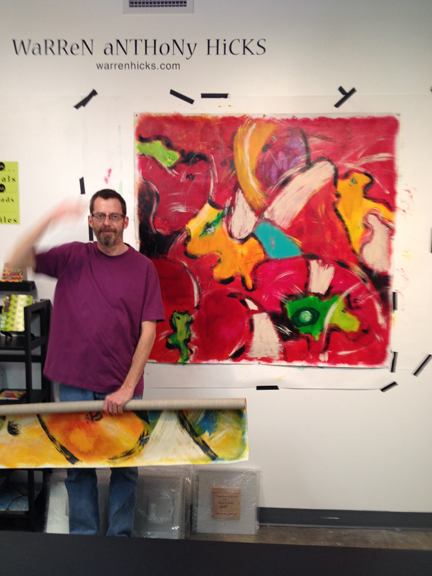 I'm really inspired by working in a larger format!